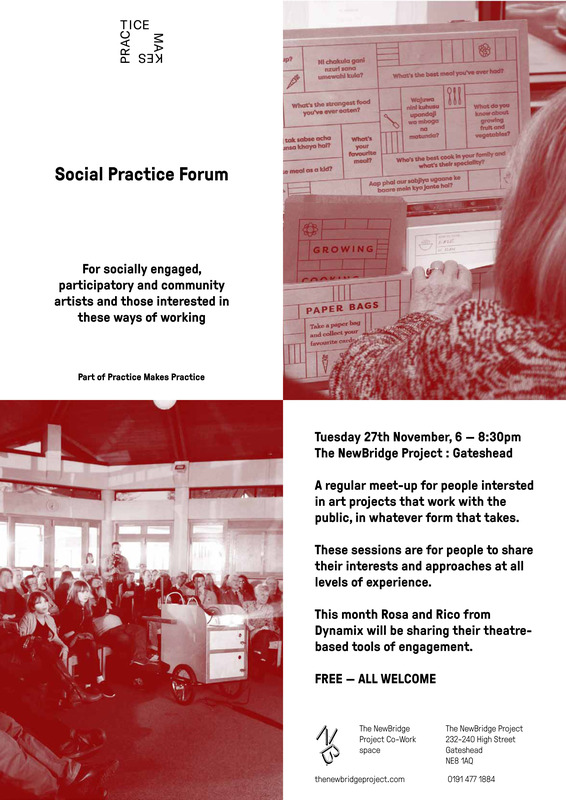 The second in a regular series of meet-ups for people interested in art projects that work with the public, in whatever form that takes: socially engaged, participatory and community artists and those exploring these ways of working. These sessions are for people to share their ideas and approaches at all levels of experience. This event will be led by Rosa and Rico from Dynamix, and they’ll share their techniques for engagement from the field of forum theatre. Accessibility: NewBridge Gateshead is a step-free ground floor space.